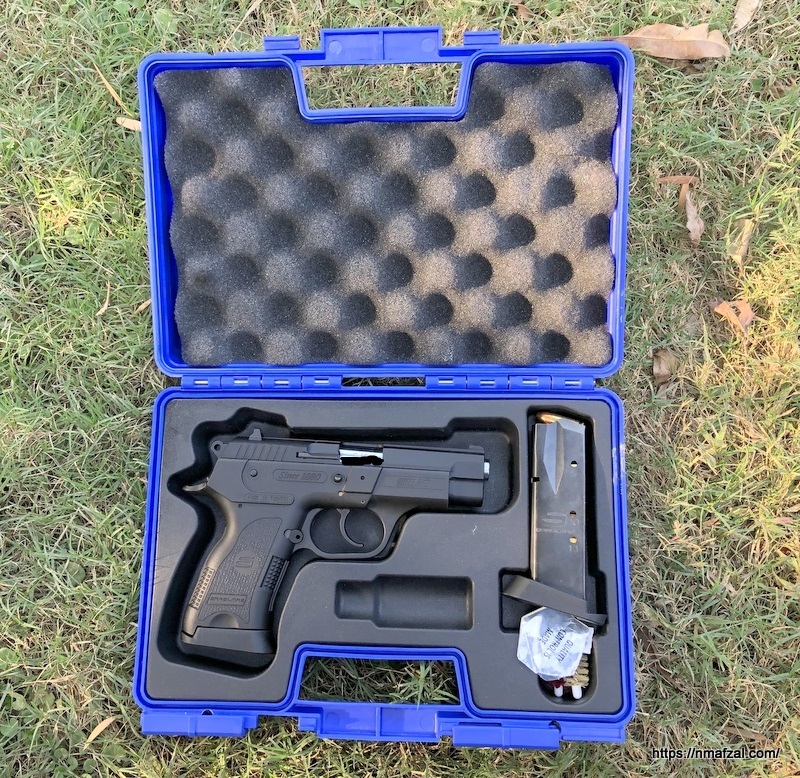 Sarsilmaz B6C (Compact) is a very good Turkish handgun in the 9 mm category. It has a polymer frame and a forged steel alloy slide. 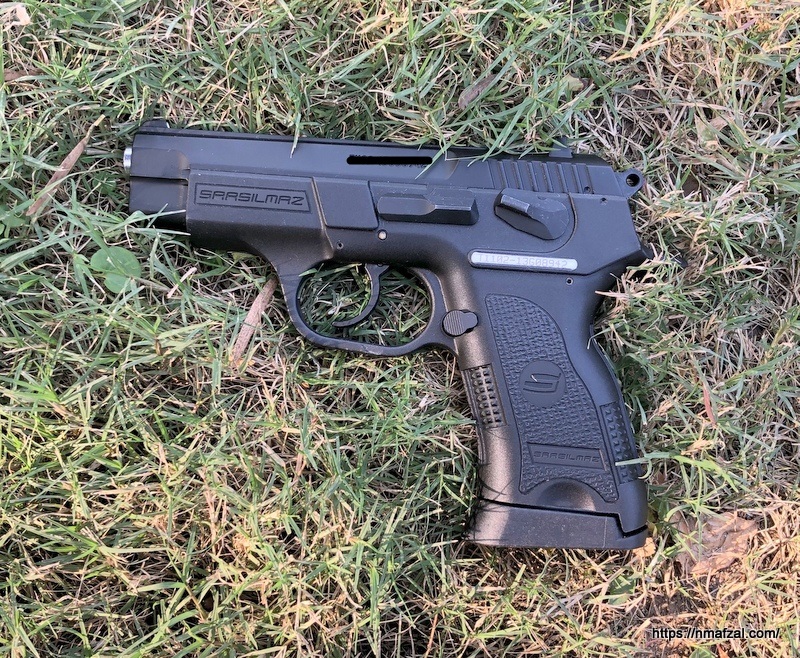 The B6C is a SA/DA pistol with a manual safety, also has drop safety. The handgun is adequately sized for concealed carry, as the pistol is compact version of the Sarsilmaz B6. It comes with simple three dot sights, a small extension in mag base improves the grip. It is a slide in frame design with a tight grip. However, you have to get used to the rather reduces space for racking the slide. It comes in a box with spare mag (13 round), cleaning rod, user manual and oil bottle etc. See the specs and photos for details. The mag release isn’t ambidextrous so basically meant for right handed persons. The B6C is a well balanced handgun in the 9 mm category. Fits well, unless you have very large hands. In a slightly reduced size you get 13 rounds capacity with double stack magazine. 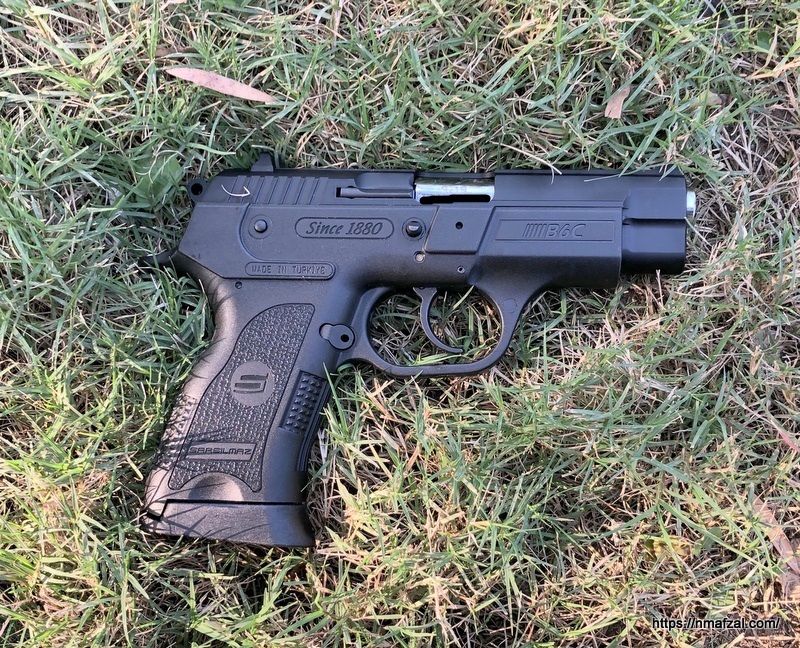 This is a no bells and whistles pistol which does the job. It used to sell for under Rs 60k, but now due to the weapons import ban you will be lucky to find it under Rs 120k. One of the good pistols in the market for CC.